Users depend on Standard Notes for their most important creations, from notes on projects, to credentials and passwords, to thoughts, ideas, and the entire spectrum of output from their life’s work. We start with a very simple core experience, offering encryption and easy sync out of the box at no charge so that users around the world can gain a safe place to store their life’s work, without worrying about all the peeping that cloud-based services usually succumb to. With encryption, and particularly end-to-end encryption, only you can decrypt the contents of your notes. Not us, not your ISP, and not even your government can decipher your notes. Total privacy is a requisite for participating in modern digital society, and we’re happy to provide this safe haven of free thought and exploration for everyone around the world. FileSafe is a new platform by Standard Notes that integrates directly with your day-to-day usage of Standard Notes, and serves as an encryption intermediary between you and your favorite cloud provider. When you use FileSafe, you attach files (images, videos, documents, and any other kind of file) to your individual notes. These files are then encrypted by Standard Notes offline (client-side) first, then uploaded in their encrypted form to your Dropbox, Google Drive, or WebDAV compliant server (Nextcloud, ownCloud, Seafile, Synology, and others). This means that the files you upload via Standard Notes to your cloud cannot be peeped on or seen by your cloud provider, thus ensuring that ownership of these files ultimately resides with you (i.e Google can’t monetize your encrypted files and Dropbox can’t run user studies on them). 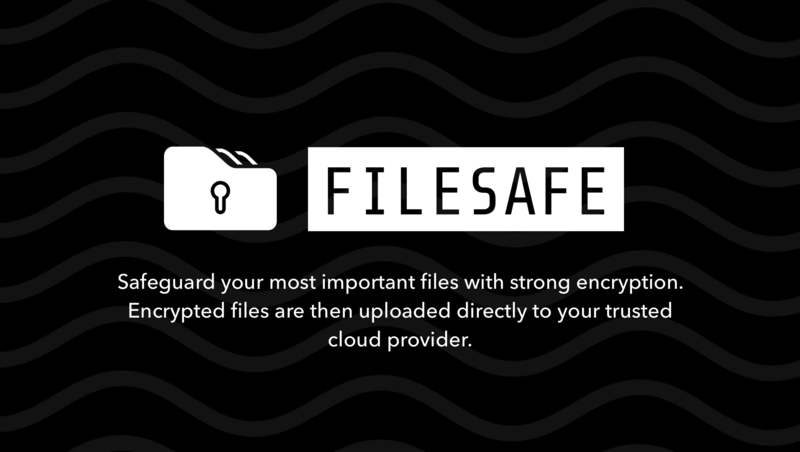 Uploaded files can then be downloaded from the FileSafe interface, whereupon encrypted data is retrieved from your cloud provider, decrypted client-side by the Standard Notes FileSafe extension, and then downloaded to your disk. At no point in this process does unencrypted, plaintext data ever leave the safety of your own computer. With Standard Notes, if it touches a cloud, it’s encrypted. FileSafe is available to Extended subscribers. For users who are already subscribed to Extended, you can begin using FileSafe by installing it through the Extensions portal in your web or desktop application. If you’re new to Extended, you can learn more about our extensions program which offers several benefits, like access to powerful editors, themes, daily cloud backups, and more. Learn more about Extended.